W: Galway Kairos Therapy Facebook page. Qualifications: B.Ed Home Economics & RE, Diploma in Kairos Therapy - Advanced Clinical Skills, Certificate of Kairos Therapy, First class honours Diploma in Psychology of Counselling from NUI Galway. Biography: Kairos has transformed my life completely. Where there was stress in my life before it has deeply relaxed both my mind and body. This had led to many positive changes in all aspects of my life. As your practitioner you can completely trust in the level of care you will receive from me as I have had to through my own healing journey in order to be an effective therapist. I work with people of all ages and I particularly specialise in working with young people due to my teaching background. I understand the difficulties which teenagers may go through such as; low self-esteem, anxiety, depression, bullying, eating disorders, anger out-bursts, inability to focus, school avoidance etc. Kairos is the perfect therapy to relax their systems and to release these negative blocks to move them on to a more positive path. 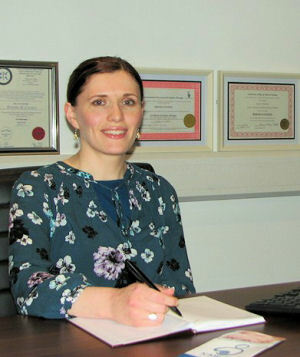 My practice is based in Galway, you can contact me at any stage through my email address above if you would like more information or to book a treatment.